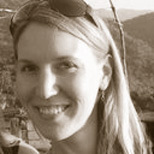 Kathryn Dekas has worked with the People Analytics group since May 2008. Currently, she is the project manager for Googlegeist, Google's annual employee survey, and is also leading a set of projects aiming to provide a seamless onboarding experience for Google's new hires (a.k.a. "Nooglers'). Prior to Google she worked in the HR Learning & Communications group at Qualcomm, as well as the Talent & Organizational Performance consulting group at Accenture. Kathryn holds a Ph.D. in Business Administration (focus on Organizational Behavior) from the University of Michigan's Ross School of Business, and a B.S. in Economics & Psychology from the University of Pennsylvania's Wharton School. Her graduate research focused on organizational citizenship behaviors (OCBs) and other forms of individual proactivity at work, and her research has been published in leading journals such as Research in Organizational Behavior, and Organizational Behavior & Human Decision Processes.